The Lilypad: The Word Mania fever increases: Can You Beat the FrogAsia Staff Leaderboard? The Word Mania fever increases: Can You Beat the FrogAsia Staff Leaderboard? 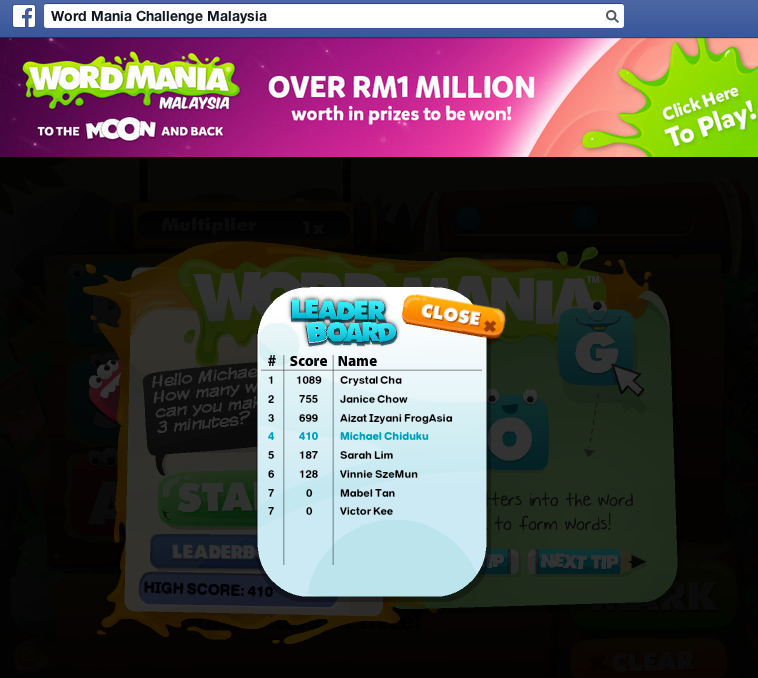 The Word Mania Challenge is Malaysia’s biggest word-building competition! Students participating in this competition can stand a chance to win a Samsung 4G Chromebook and other great prizes for themselves and their school. Better yet, there’s a total of up to RM1 million worth of prizes to be won! As the excitement levels for this competition continue to rise, the FrogAsia staff have decided to join in the fun by challenging each other on the Word Mania Facebook practice app. This is strictly to earn themselves bragging rights as “very competent word-builders”. The highest score so far is 1089! Do you think you have what it takes to beat this score? Feel free to play some practice rounds on Facebook too. All Malaysian primary and secondary school students with an activated 1BestariNet ID. Activate my ID and register for FREE now!